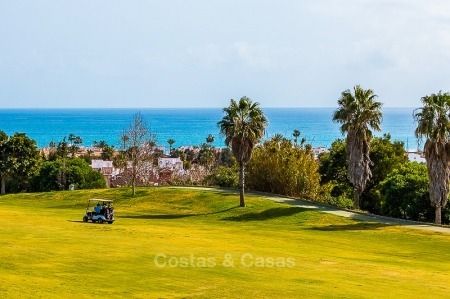 Costas & Casas Marbella is one of the few real estate agencies in Marbella that can offer you access to virtually all golf villas, apartments, penthouses for sale in Marbella as well as in Benahavis and Estepona. We know the Marbella real estate market through and through and can show you a tailor-made selection of all golf villas, apartment, penthouses for sale in Marbella matching your requirements. Costas & Casas Marbella works with in-house professional staff, has the manpower, infrastructure, after-sales service and know-how to guide you from A to Z in your search and purchase of your dream golf villa, apartment, penthouse for sale in Marbella. Every member at Costas & Casas Marbella is fully dedicated to a professional and friendly service and we always go that extra mile to find you the very best golf villa, apartment, penthouse for sale in Marbella. Selling your golf villa, apartment or penthouse in Marbella? If you are an owner and would like to sell your golf villa, apartment or penthouse in Marbella? Please read more about what we can do for you in Selling your property in Marbella.